A gallop isn't really a skip, slide or a hop, but rather some combination of all three, and it provides youngsters with plenty of opportunity to develop gross motor skills. While it might look like rather rudimentary movements at first, by incorporating some entertaining and engaging galloping activities, your child will have mastered this complex locomotor skill. With a large empty space and a few creative obstacles, you can help your child practice fast galloping and slow galloping, and any other movements you would like to incorporate, too. If a bright, summer's day, organize the obstacle course in the backyard and have your child gallop from tricycles to slides, race around sandboxes and then gallop his way back. Use the entire yard's space to incorporate as much physical activity as possible. If you're looking for an activity on a rainy afternoon, organize the obstacle course in the basement playroom easily by having your child gallop between different toy centers and complete an activity at each one. When you're entertaining more than one child -- or you feel like working on your own galloping skills -- organize a few races for skill development and fun. Make it a simple galloping dash across the backyard for very young children, or make the races a bit more interesting for older children with a few modifications. You can turn the simple race into a relay race for a group, have the kids try to balance items while they gallop across the yard, or hold hands and gallop in circles as they move gradually from one end of the yard to the other. Make a few slight modifications to traditional games, like freeze dance and you have a new activity to help your child perfect his galloping talents. Have your child gallop around the room to music and freeze when the music stops. You can use a game of “stop and go” in the same way to help your child develop gross motor skills. 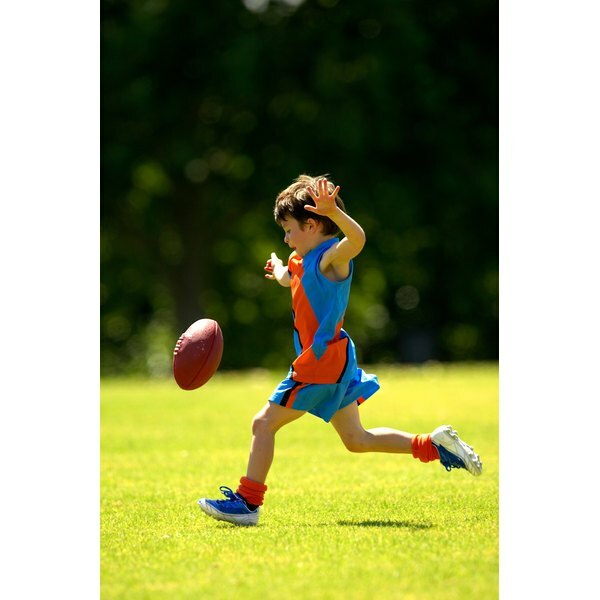 Once your child understands how the game is played, make it a little bit more interesting by having her gallop at different paces, make exaggerated movements or make her steps as tiny as possible. Help your child master the art of galloping with some imaginary play. Raid the dress up bin to transform your youngster into an old fashioned cowboy, a sheriff from the Wild West or a knight in shining armor, preparing to head into battle. Now it's time to mount his mighty steed to round up cattle, chase after the bad guys or wage war against the enemy in his imaginary kingdom. Each of these imaginative scenes provides an opportunity to practice galloping and develop gross motor skills. Understanding Children; Judith A. Schickedanz, et al.